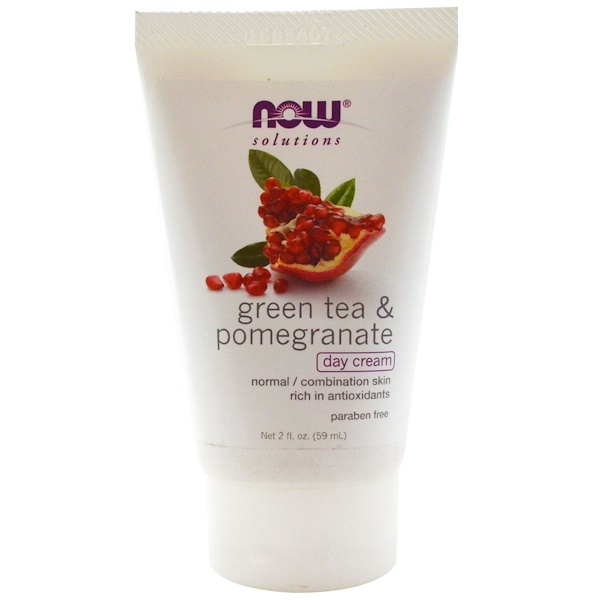 Solution: Green Tea & Pomegranate (GTP) Day Cream penetrates deep to infuse skin with the nutrients and antioxidants it needs to stay firm and healthy. 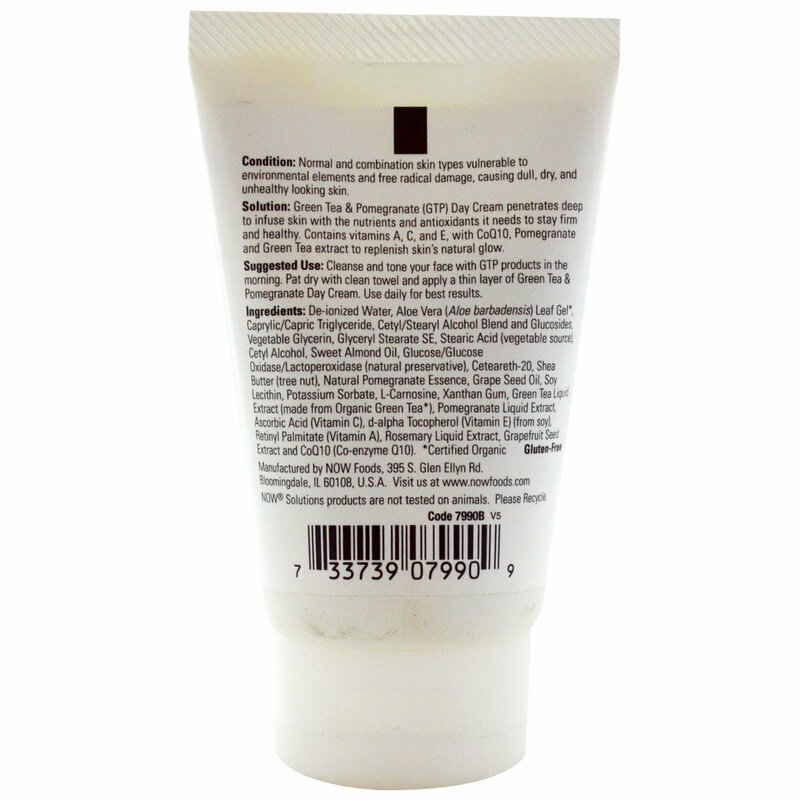 Contains vitamins A, C, and E with CoQ10, Pomegranate and Green Tea extracts to replenish skin's natural glow. De-ionized water, aloe vera (aloe barbadensis) leaf gel*, caprylic/capric triglyceride, cetyl/stearyl alcohol blend and glucosides, vegetable glycerin, glyceryl stearate SE, stearic acid (vegetable source), cetyl alcohol, sweet almond oil, glucose/glucose oxidase/lactoperoxidase (natural preservative), ceteareth-20, shea butter (tree nut), natural pomegranate essence, grape seed oil, soy lecithin, potassium sorbate, l-carnosine, xanthan gum, green tea liquid extract (made from organic green tea*), pomegranate liquid extract, ascorbic acid (vitamin C), d-alpha tocopherol (vitamin E) (from soy), retinyl palmitate (vitamin A), rosemary liquid extract, grapefruit seed extract and CoQ10 (co-enzyme Q10).